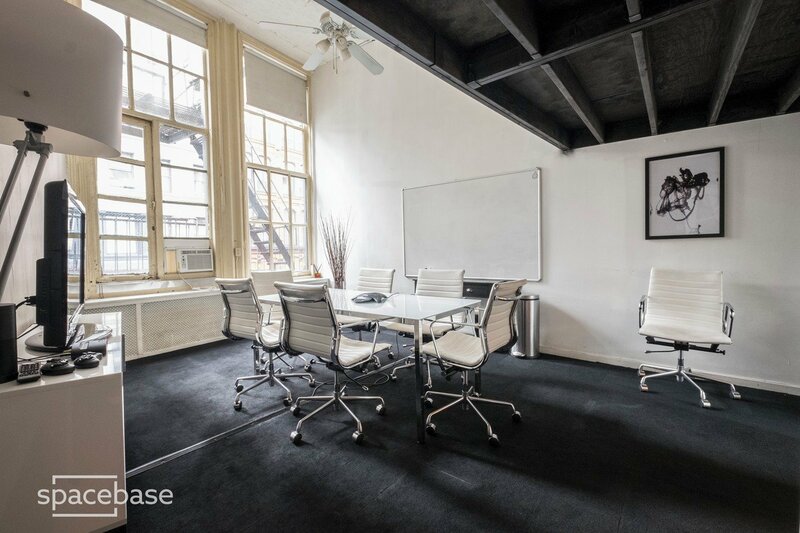 This pearly conference room for hire on Broadway may be white-walled but it is definitely not boring. The white room accents give this space a clean, fresh atmosphere that is waiting for your team’s ideas. The brightness of this conference room in NYC will open your eyes and keep you concentrated on the task at hand. This venue is nothing short of stimulating and is also highly functional, making it the perfect place to get your work DONE! This concentration-provoking room would be perfect for teams facing a deadline or problem-solving and proofing a new product. The stark whiteness of the room is energizing and is bound to get your colleagues motivated and focused. 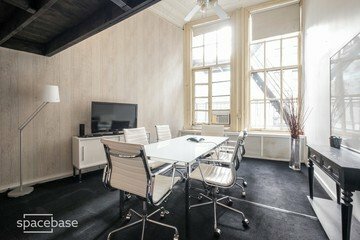 This conference room to rent in NYC is perfect for small teams up to 10 people from many different industries, especially start-ups and beginning businesses, as the room is very affordable. This space includes many extras to make your meeting a success, such as a flipchart, projector and screen, TV screen, whiteboard, pens and paper, phone conferencing and water and hot drinks, all included in the price of rental. Catered lunch can also be added to this conference room for hire at an extra fee. This refreshing conference room on Broadway will give your colleagues the fresh mindset they need to contribute great ideas and the neighborhood is bound to inspire and engage as well! 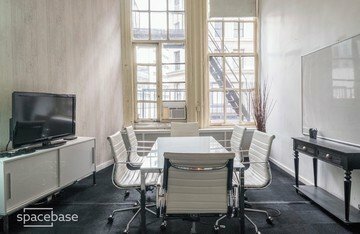 Situated on New York’s famous musical theater street, Broadway, this conference room rental is close to an artistic hub with many shops, bars and cafes as well as artistic inspiration. You will find that it is easily reachable by quite a few subway lines, including the 4, 5, 6, L, N, Q, R, and W trains. Book this bright and simple conference room today and get stuff done!